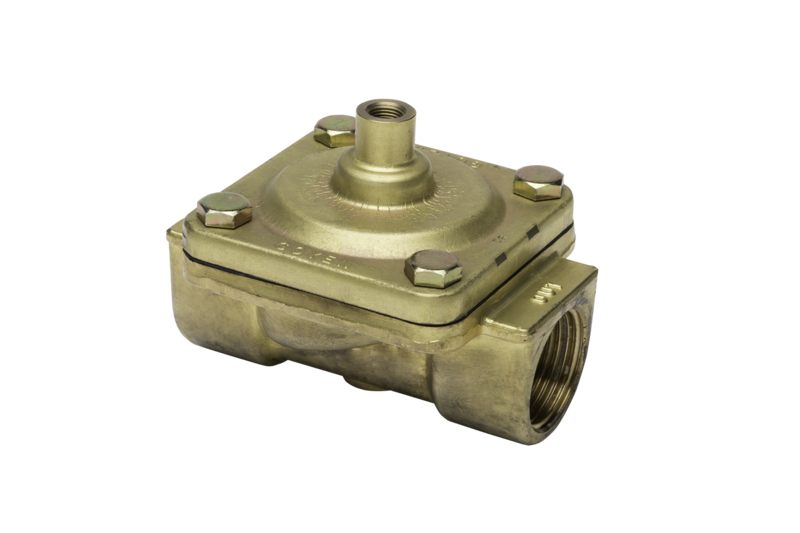 Pentair’s Goyen and Mecair industrial valves are machined from brass and available with additional electroless nickel plating. The wide product range covers all types of industry,and includes valves designed for very high pressures (up to 370 psi/2550 kPa) and high flow rates. Solenoid valves come in two types: Direct Lift and Pilot Operated. Both types are available in normally open and normally closed configuration. A plunger directly opens or closes the valve as the sealing disc is attached to the plunger. The valve will operate from zero pressure differential to its maximum rated pressure. A diaphragm or piston provides the seal for the main valve orifice. Pilot operated valves are designed to handle much greater flow or pressure requirements than direct-lift valves. Two designs are available; a floating diaphragm requiring a small pressure drop across the main valve orifice to remain in the open position, and a coupled diaphragm which is kept open mechanically through direct connection with the solenoid plunger. This coupled design will operate with zero pressure drop across the main valve orifice. Two-way valves have one inlet port and one outlet port and are used as a simple on/off valve to control the flow of liquids or gases. Three-way valves enable the pressure application and release from closed-end systems, such as in air-piloted operation of hydraulic or pneumatic control valves, or with single-acting cylinders. Pentair’s industrial valves may generally be installed in any orientation, although it is preferable to mount the solenoid above the valve to minimize the ingress of dirt and foreign matter into the ferrule tube. Care should be taken not to use the solenoids cover as a lever when installing or removing the valve. For reliable operation, ensure the supply voltage is no more than 15 percent above or below the rated solenoid voltage. 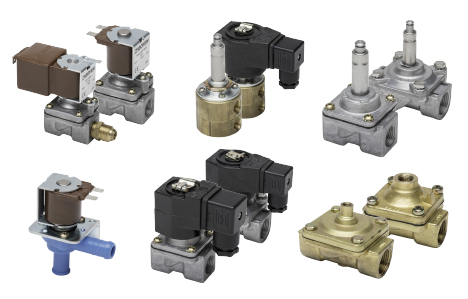 Designed to control the flow of liquids or gases, Pentair industrial valves are used all over the world in a wide range of industries and for a wide range of pressure and flow rates.